Have you downloaded the FREE fabric deer head pattern yet? You can get all the details on it here. 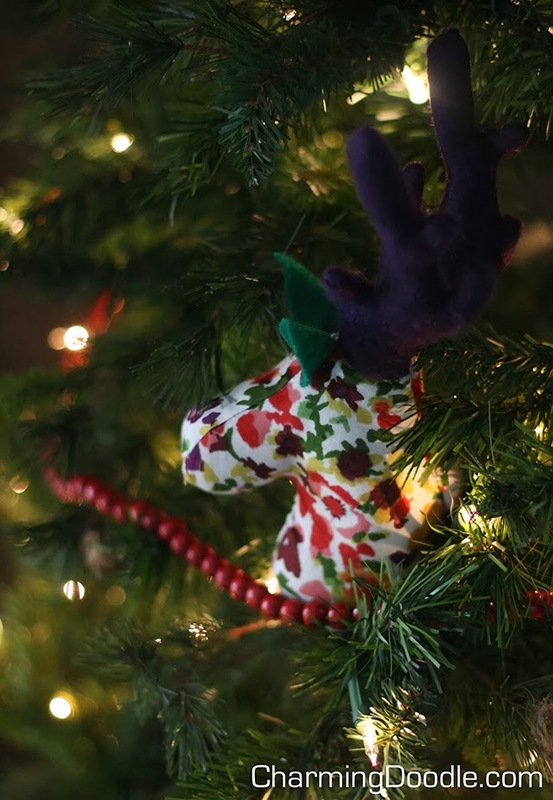 I promised to show you how to make a smaller deer that could be used as decoration on your Christmas tree and today's the day! What you can't tell in these photos is that the deer are completely different sizes. The picture below will put that into perspective. 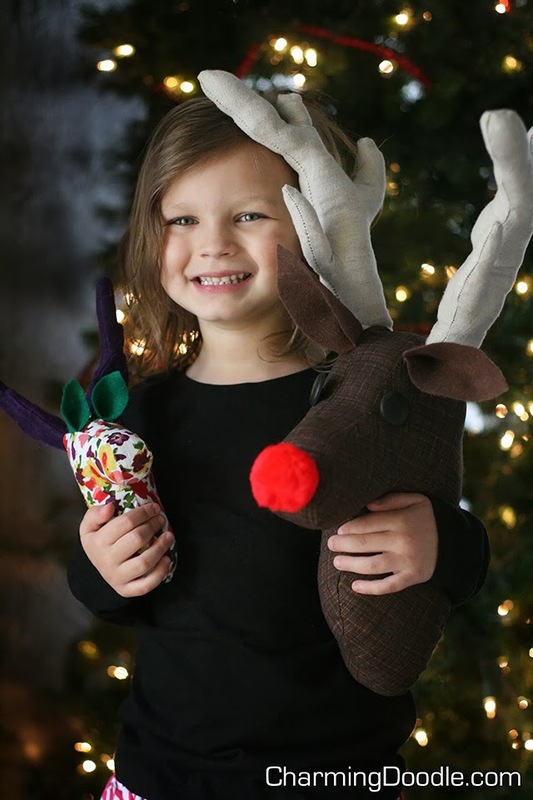 Here is my 4 year old holding both fabric deer. The Rudolph on the right is the original size and is the size your deer will be if you use the pattern as is. 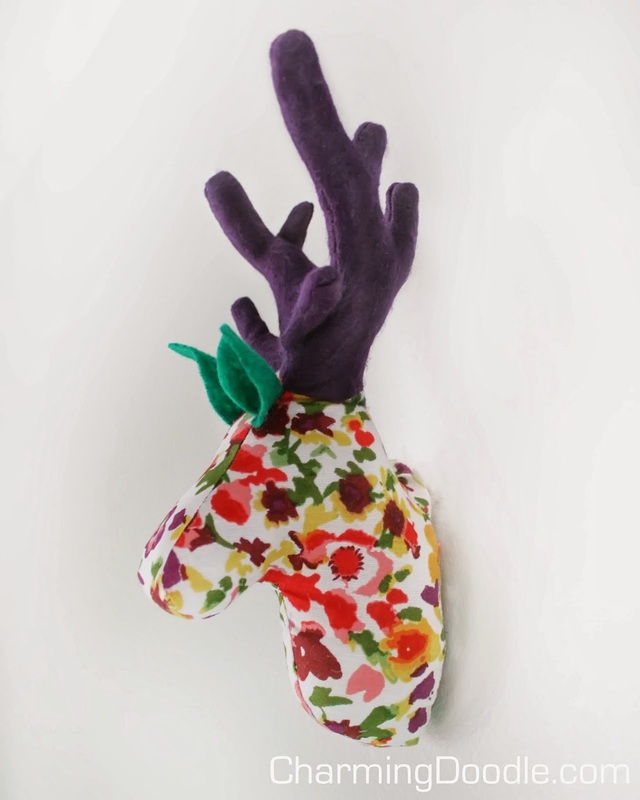 The smaller deer in floral fabric was made by printing the pattern much smaller. The smaller size is perfect for hanging on a Christmas tree or even attaching to a large gift. I wouldn't recommend making it any smaller than I describe below because it would get really difficult to stuff the antlers correctly. After you download the pattern (follow the directions in this post to download it from my facebook page), open the PDF and click Print. When the print dialog box opens up, select 'Multiple pages per sheet' under Page Scaling. This is a screen shot of what it will look like. See how there are now two pages on the same paper? It scales the whole pattern down and will let you make a deer less than half the size of the original. 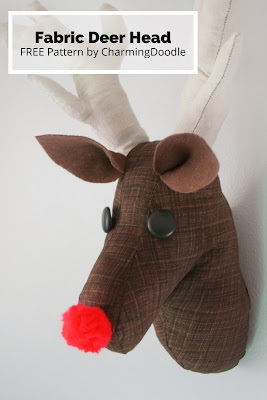 I would LOVE to see what you have made with the deer/Rudolph pattern. Please share your version with me on my facebook page or by emailing, messaging me, or tagging me on Instagram. I will feature some of your creations soon! This is so cool! I love both of them! Thanks for sharing. I found your blog through the sewing rabbit. :) A new follower.